Our crematory (license #2469) is located in our building and all cremations are performed right here in Travis County. Your loved one never leaves our cremation center and is cared for here without having to be transported to another location for cremation - We Guarantee It. We are the only affordable provider that owns an on-site crematory and performs the cremation in Travis County. 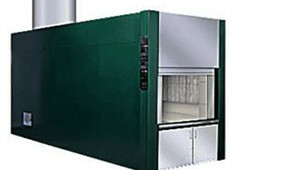 We utilize up-to-date cremation technology and equipment. All of our cremations are performed by Certified Crematory Operators at our crematory. We are a fully licensed crematory providing no need for the expensive modern funeral home system or a middle man. You deal with us directly and we have no hidden fees. We have a strict code of ethics the we adhere to while your loved one is in our care. All of our staff is committed to uphold those ethical standards. All of our cremations take place right in our facility by a Certified Crematory Operator and we are fully licensed by the Texas Funeral Service Commission. Your loved one is logged into our tracking system This tracking system includes date of arrival at the facility and name of the transfer technician. Personal belongings are catalogued and placed in a secure area for their return to the family. At the time of cremation an identification number is assigned, which is stamped into a stainless steel identification tag. This number is used to track every phase of the cremation process. No Transfer to other crematory facility. We perform all cremations at our cremation center in our crematory. Your loved one is never transferred to another facility or taken to another location for cremation. Your loved one is placed in the cremation container of your choice with their name written clearly on it and matching the identification tag. If no container is chosen, we place the body in a rigid leak-proof container to ensure proper safety and discretion (we go the extra step and place all bodies in a container). Immediately prior to the cremation process, your loved one and their personal identification is noted in our Crematory Tracker™ software. Each log entry details the name of the individual, date and time of the cremation, identification number and certified crematory operator’s name. The Crematory Tracker™ log is dated and the start time is noted and initialed by a cremation technician before and after the cremation. The crematory checklist is placed on the outside of the cremation chamber during the cremation process. The metal identification tag is placed in the cremation chamber during the process. After the cremation is complete, the cremated remains are placed with the stainless steel identification tag into an temporary container or urn the family has selected. If your family lives in Travis or Williamson County we will schedule a time to hand deliver the cremated remains to your family. For families that are outside the area, you may schedule a time to receive the remains at our cremation center or we will prepare the remains for shipment via Priority Express Mail service. Before our staff can work with your family each staff member must make a personal commitment to our Code of Ethics. Contact our family-owned business in Austin and Killeen by calling toll-free at (888) 360-3494 or email us at [email protected].